We've talked about Teeling Whiskey a bit on this site in the past, and found it to be extraordinarily good value, and a perfect example of a "new age" of Irish whiskey distillers (although the company is also selling aged expressions from a previous era of the distillery). To firmly establish themselves as a distillery that's in it for the long haul, TWC have recently opened a brand new distillery - the first in the city of Dublin for 125 years. "The Teeling Whiskey Company (TWC) today officially opened its brand new distillery and visitor centre in The Liberties, Dublin. 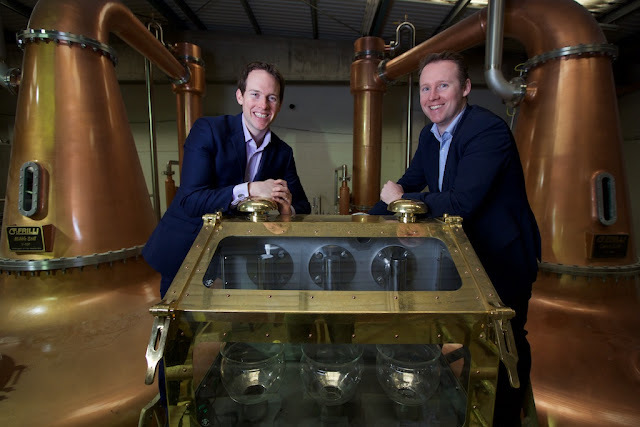 The €10 million distillery is the first in Dublin in over 125 years and the only fully operational distillery in the city at present. As well as fully functioning distillery, there is a state-of-the-art visitor centre which will host whiskey tasting tours, a café, a bar, a private event space for hire and a gift shop. The visitor centre will officially start taking paying visitors from Saturday, 13th June and will be open from 9.30am - 5.30pm 7 days a week. Founded by Jack Teeling in 2012, TWC was set up to revive his family-old trademark of Irish whiskey and bring distilling back to Dublin, where Walter Teeling had a distillery on Marrowbone Lane in the 18th century. The Teeling Whiskey Company is run by Jack together with his brother Stephen. The opening of this new distillery means that TWC has complete control of all aspects of its whiskey production, from grain to bottle, so that it can truly lead the category in terms of innovation and build on the company’s ever growing reputation of producing some of the world’s best whiskeys. Most recently, Teeling Single Malt was named ‘World’s Best’ at the 2015 World Whiskies Awards and Teeing Small Batch was awarded ‘Best Blended Irish Whiskey’ at the San Francisco World Spirits Competition. Irish whiskey is currently experiencing a surge in popularity both at home and abroad and is the fastest growing spirits category in the world. According to an IWSR/Just drinks report*, Irish whiskey is expected to grow by +60% between 2014 and 2019 and it is estimated that 96m bottles of Irish whiskey will be sold globally by 2016. Jack Teeling, founder and managing director of the Teeling Whiskey Company commented: “Today is a momentous day in the history of our company and something we have been working towards for the last three years. We are delighted to officially open our brand new distillery and bring back the tradition of distilling to Dublin. We are also looking forward to opening our doors to our first official visitors this weekend and we’re confident that our distillery will become a must-visit destination for tourists to Dublin from all over the world." For more on the Teeling Whiskey Company and its award winning Irish Whiskeys, visit www.TeelingWhiskey.com"
We've always been big fans of Sydney's Eau de Vie bar, their sister bar in Melbourne, and in fact most of what Sven Almenning and his team have come up with over the years (including their partnership with Bakery Hill, their pre-batched cocktails and their own Smoked Bacon Bourbon). 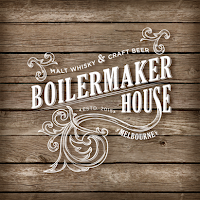 So although we haven't been yet, we have no doubt that the latest venture, Boilermaker House in Melbourne's CBD, will be a huge success. With almost 700 whiskies, 12 craft beers on tap and good as well, how could it not be? "Boilermaker House is a whisky and craft beer venue that serves up Eau de Vie standard cocktails, dinner until late and also boasts a meat and cheese bar, all of which are open to 3am every day. WIN! We have close to 700 whiskies from all over the world on the back bar, 12 craft beers on tap, and another 30 odd in the fridge. And with over 40 varieties of cured meat & cheese, the combinations are endless. We're open 7days from 5pm, and Thursday to Sunday you can also check us out for lunch from midday." 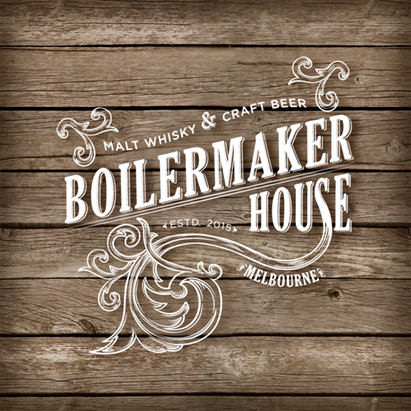 Boilermaker House is open now and can be found at 209 Lonsdale St, Melbourne. 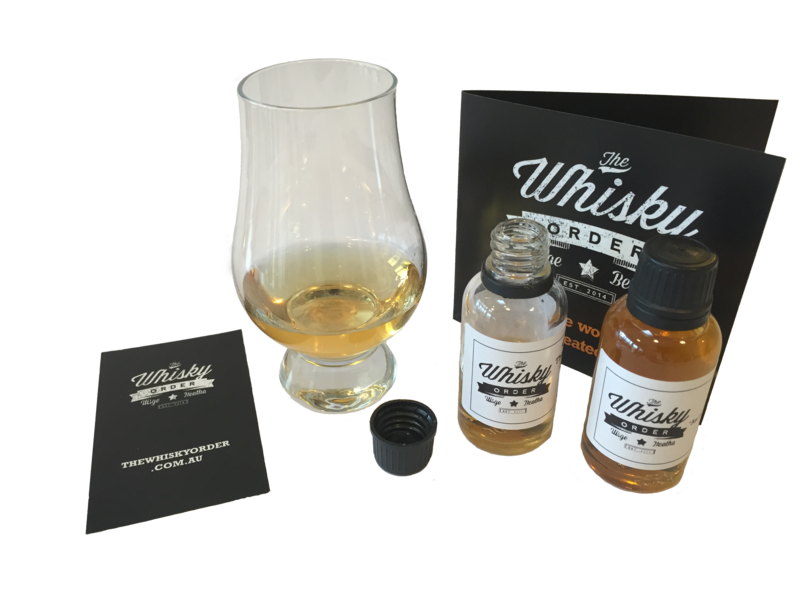 The Whisky Order is a whisky sample subscription box that sends out 4-5 unique samples each month. Each month is themed (e.g. ; world whisk(e)y, peaty monsters, sherry bomb) and a range of whisky is chosen to give each subscriber an overview of the taste spectrum. I get a nice tasting mat made each month and try to include as much as possible in the little parcels of whisky goodness. For example last month I worked with Mornington Peninsula chocolates to do a taste paring with some nice chocolates that were included for each subscriber. www.thewhiskyorder.com.au is the address and they ship Australia-wide. The Ardbeg team have done it again in pushing the innovation boundaries. A slightly different twist this time around with the preview of a space-aged whisky. Supposedly, after NASA heard about Ardbeg's Supernova, they sent a note to Ardbeg to see if aging whisky in space is an idea worth exploring. 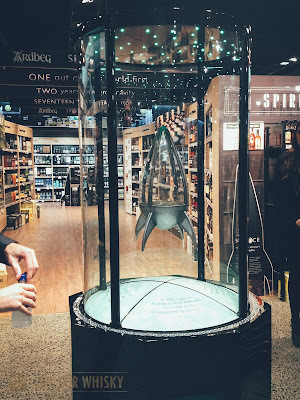 The vial of Ardbeg has made its way to space from Kazakhstan, aboard the International Space Station (ISS) from 2011 through to 12th September 2014, spending roughly 3 years in zero-gravity orbit. Quite a young whisky indeed spending with only a mere three years in zero-gravity maturation though this youngster will be one of the most (if not the most) expensive Ardbeg at €10,000 just for the vial (and that's only for the starting bid for the auction of this space aged vial). 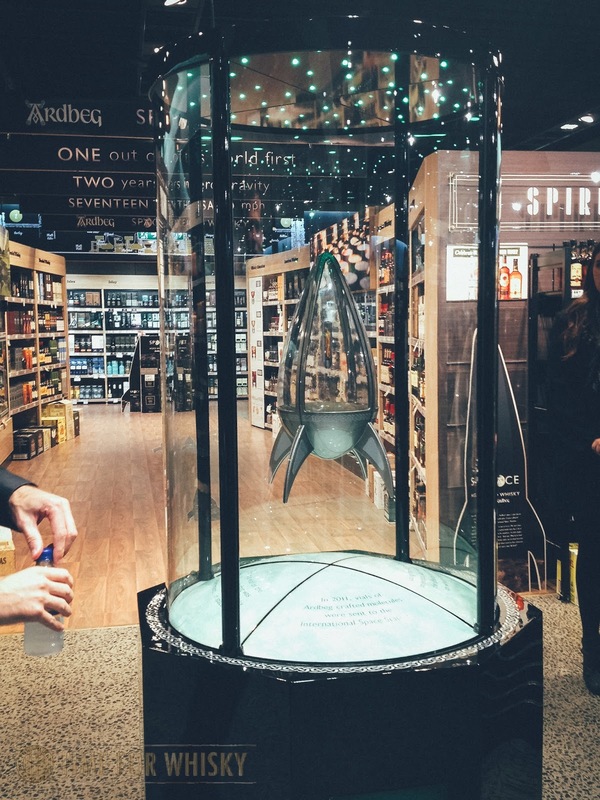 This vial, along with its unique, floating ‘zero-gravity’ display case will be exhibited at Dan Murphy’s, Double Bay NSW through to 16th July 2015. 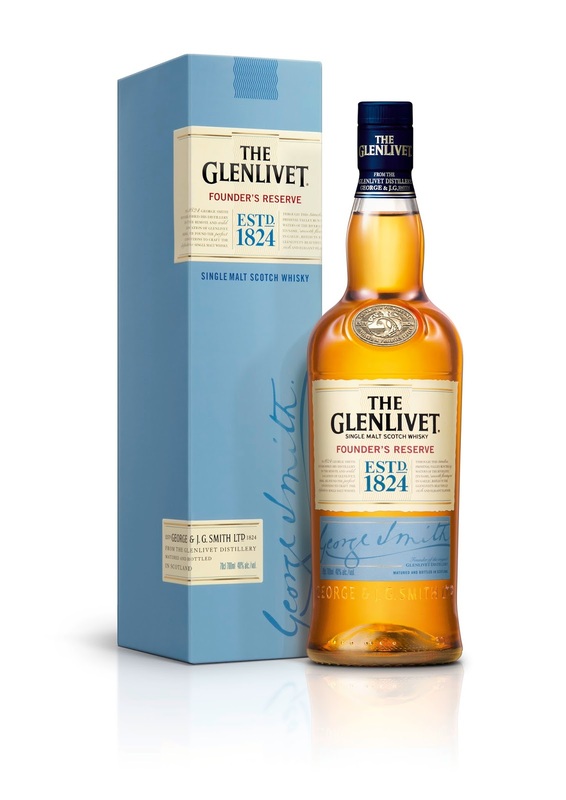 The Glenlivet Founder's Reserve has arrived in Australia and will set to replace the ever-popular and classic Glenlivet 12yo. The Glenlivet Founder’s Reserve launched in Australia on 1 July 2015, and will become the new, permanent benchmark expression in the brand’s core range. It has been created as the ultimate tribute to founder George Smith’s original vision to craft the definitive, smooth single malt whisky. The announcement has come in the wake of an unparalleled year of growth for the brand, with new expressions and continued innovation underpinning its success. According to Anne Martin, Marketing Director for Pernod Ricard Australia, “Founder’s Reserve brings to life the heart and soul of The Glenlivet. We are very proud to introduce this new expression during what has been an incredible twelve months for the brand, which will enable us to meet increased demand for super-premium spirits with something unique to offer. The Glenlivet has the largest share of the Australian Single Malt Market, at 26 per cent*.” With Founder’s Reserve, The Glenlivet house style is skilfully complemented with a creaminess and sweetness from the addition of First Fill American oak casks, resulting in a malt of exceptional smoothness; the very quality for which George Smith’s The Glenlivet was widely admired and appreciated in his day. The introduction of Founder’s Reserve follows on from the recent historic release of The Glenlivet Winchester Collection, the world’s first collection of 50 Year Old single malt Scotch whiskies. Launched in Australia in October 2014, the collection is anticipated to become one of the most sought after and priceless whisky collections in the world and epitomises the brand’s commitment to innovation in crafted Scotch whisky. This newly launched Glenlivet Founder's Resrve will be available in Australia starting from this month, for A$64.99.